Disney's Animal Kingdom, which opened in 1998, is the newest of Walt Disney World's four theme parks. 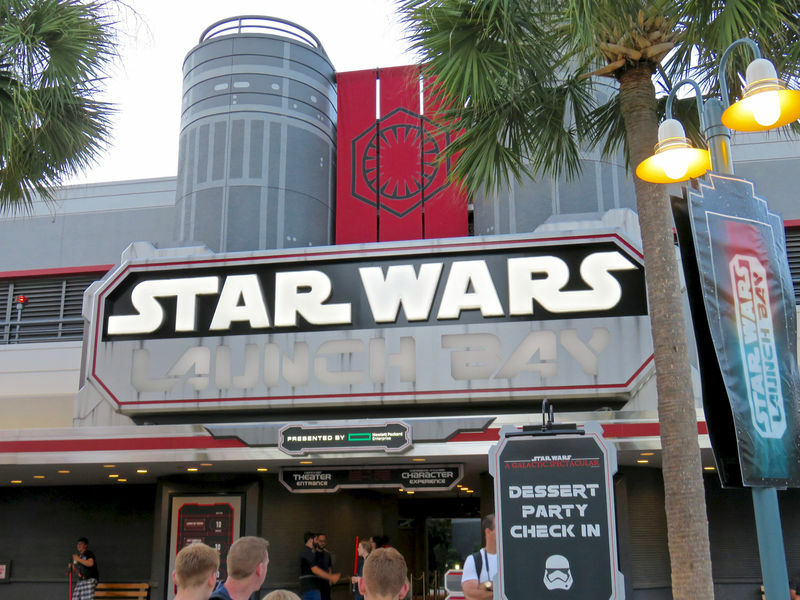 The park has been criticized by some as being too light of an experience, that it is only a "half-day" park. 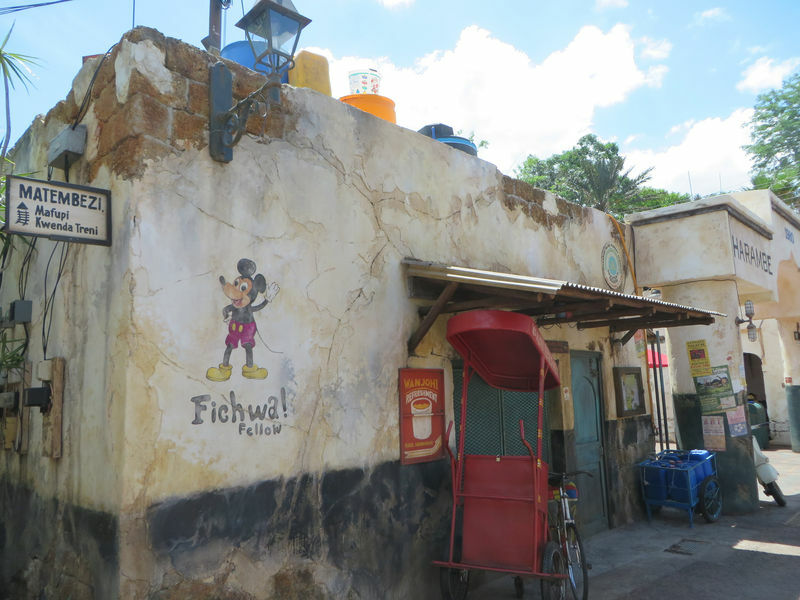 Others love spending a full day slowly working through the animal viewing areas and taking breaks with rides and shows (Festival of the Lion King remains extremely popular after many years). Expedition Everest opened in early 2006. The immediately popular roller coaster takes passengers forward and backward toward their inevitable confrontation with the legendary Yeti. Location: Southwest corner of the Walt Disney World property. 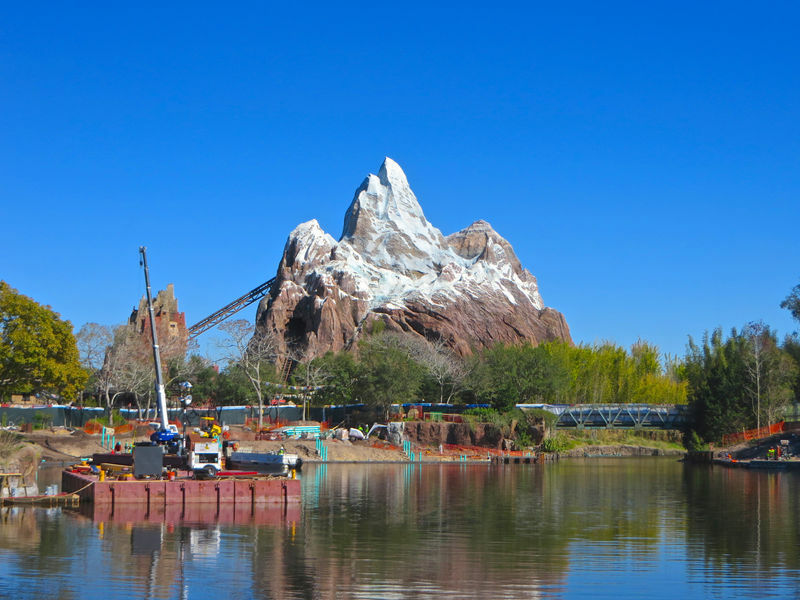 Park Hours: Disney's Animal Kingdom is open seven days a week. 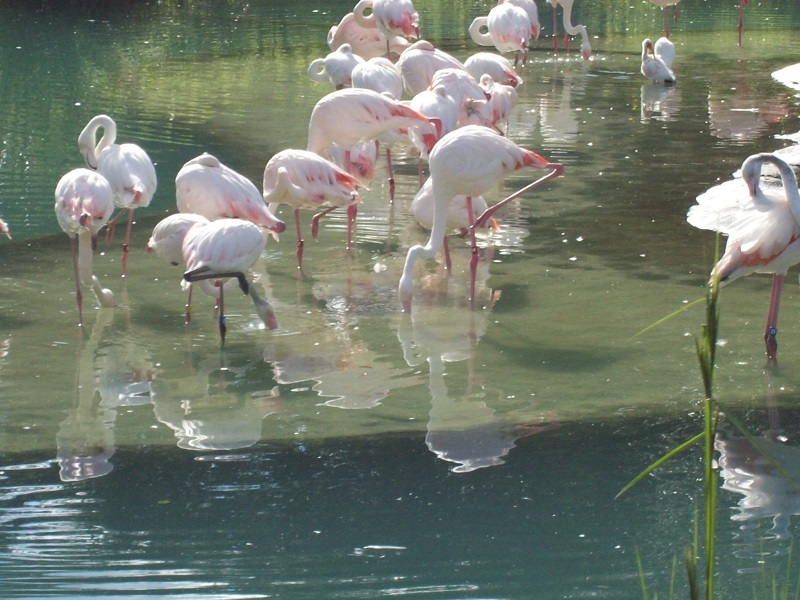 Due to the needs of the animals, the park keeps relatively limited hours. Year-round the park will open at 9:00 a.m. and close at either 5:00 p.m. or 6:00 p.m. depending on time of year. Early Entry: The Extra Magic Hours program offers guests of the on-property hotel resorts to enter one of the parks an hour earlier than the posted opening time. Only limited attractions will be open during the extra hour; see Disney's Extra Magic Hours Web page for the current schedule of Extra Magic Hours days. 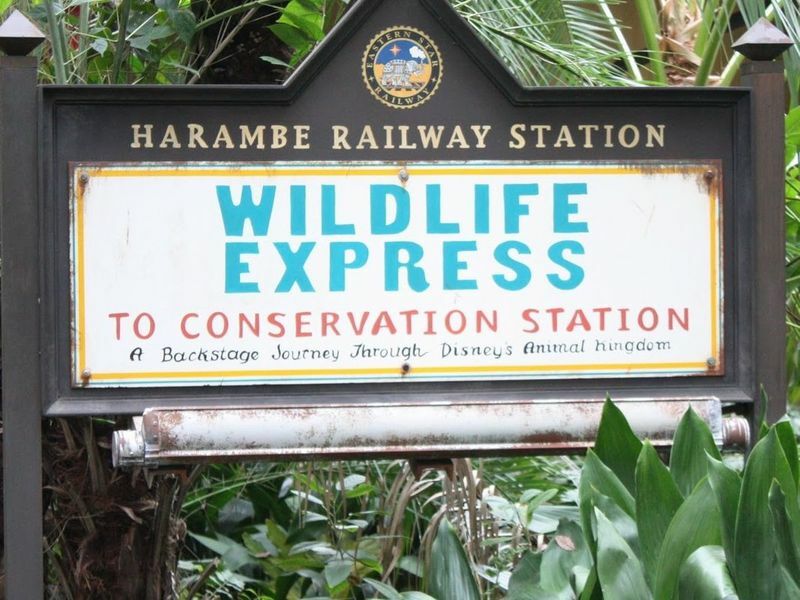 The only other program is available to concierge guests at Animal Kingdom Lodge. For a fee, such guests can sign up for an early morning tour of the park facilities that ends with breakfast in the park. 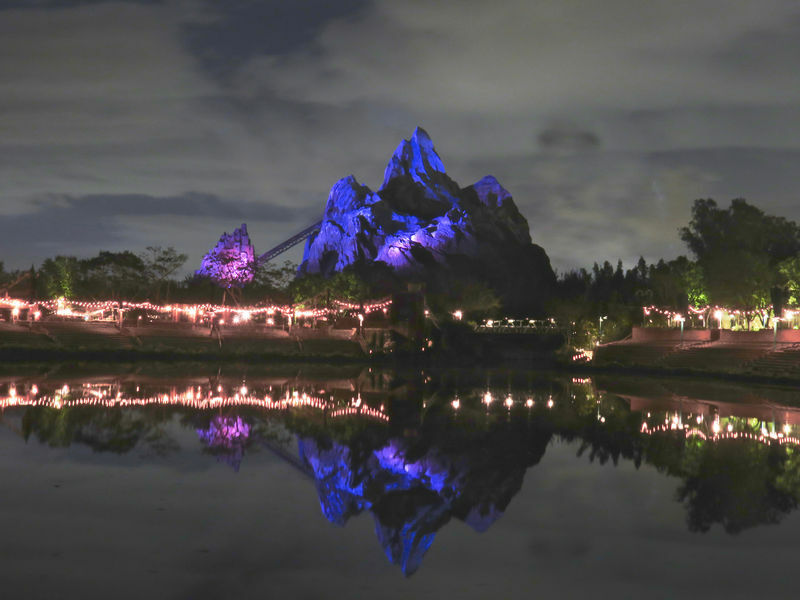 Late Departure: Evening Extra Magic Hours at Disney's Animal Kingdom have apparently been discontinued by Walt Disney World. ATMs: The park's only ATMs are next to the Garden Gate Gifts store just inside the park entrance. City Hall: Located immediately to the right as you enter the park. Equipment Rental: Strollers, manual wheelchairs, and Electronic Convenience Vehicles (ECVs) can be rented at Garden Gate Gifts to the right as you enter the park. Stroller replacements are also available (with receipt and on an as available basis) at Mombasa Marketplace. First Aid and Baby Care: The first aid station and baby care center are located behind the Creature Comforts store in the Discovery Island area of Disney's Animal Kingdom. Lockers: Animal Kingdom has two sets of lockers, one right outside and the other right inside of the main entrance gates. Locker rentals cost $7 per day for a standard size locker and $9 per day for a large locker, plus a $5 refundable deposit. Kennel: Disney's Animal Kingdom (and all of the Walt Disney World parks no longer (as of September 1, 2010) has its own kennel facilities. Best Friends Pet Care is now operating a 50,000 square foot pet resort at 2510 Bonnet Creek Parkway in the Epcot resort area. Disney's Animal Kingdom vaguely uses the hub and spoke park layout, though it isn't so obvious as in other parks. You enter through the Oasis, and when you get to Discovery Island you can then branch to most of the other areas of the park. Africa Walk through African animals or take the safari trip and see them up close. 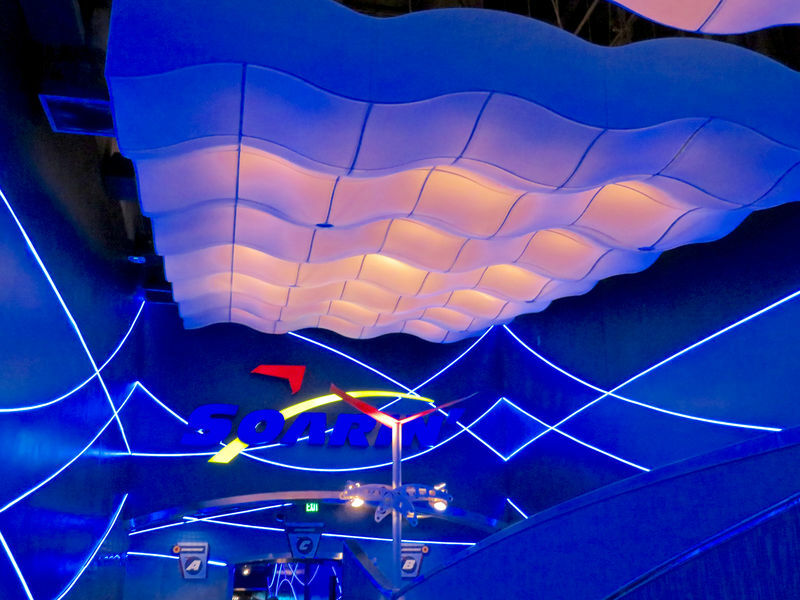 Asia View the animals of Asia or ride on a wild river rapids ride. Home of Expedition Everest, the extremely popular new roller coaster. 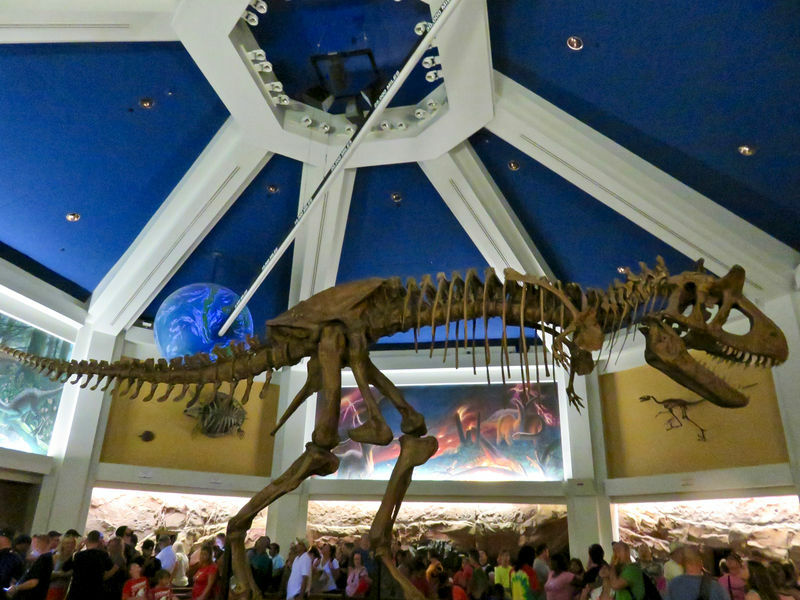 DinoLand, U.S.A. A kids friendly area that also inclues the very intense Dinosaur ride. Discovery Island Home of the iconic tree of life. Rafiki's Planet Watch See how the animals of the park are cared for and learn how to better care for the planet. 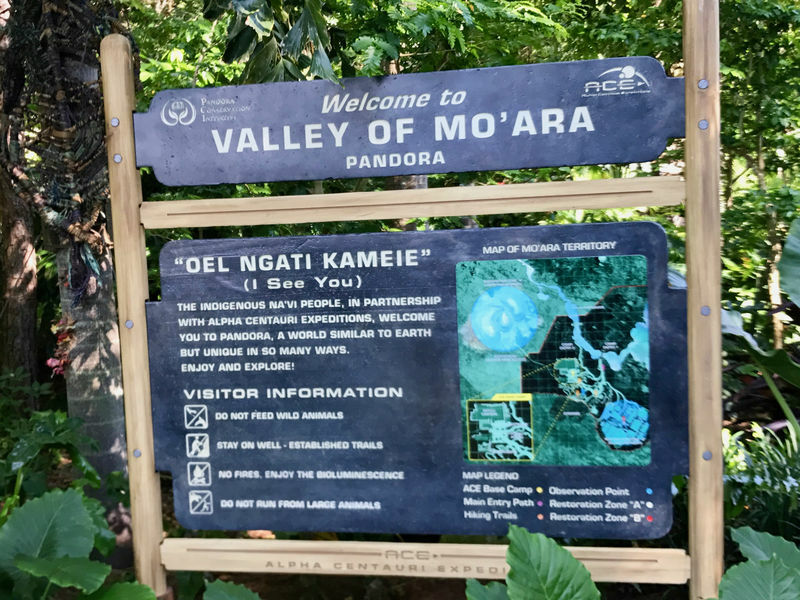 The Oasis The entrance to the park and home of the first animal walkthrough exhibit. 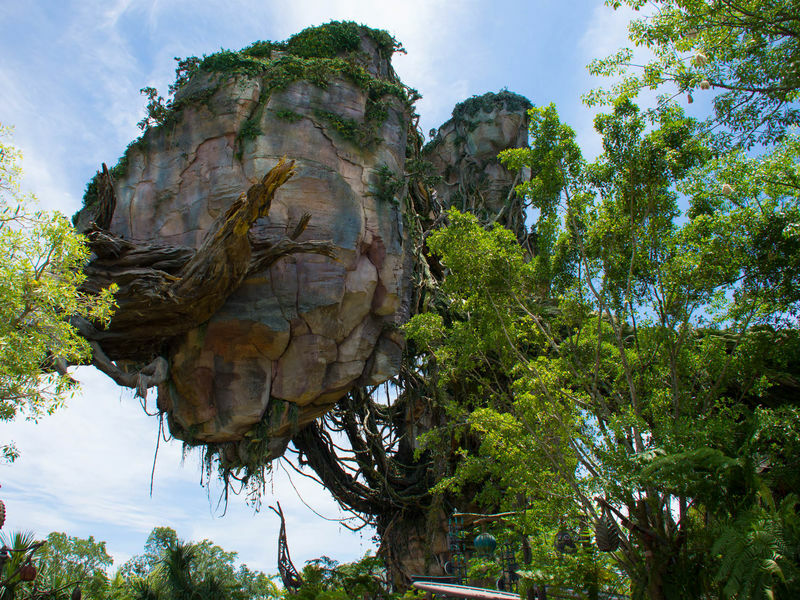 Direct access to the information page for every ride or attraction in Disney's Animal Kingdom. To find all the rides and attractions in a specific area of the park, use the links in the previous section, The Lands. Expedition Everest A new roller coaster through the Himalayas. Kali River Rapids A wild raft ride through lush jungle landscapes. 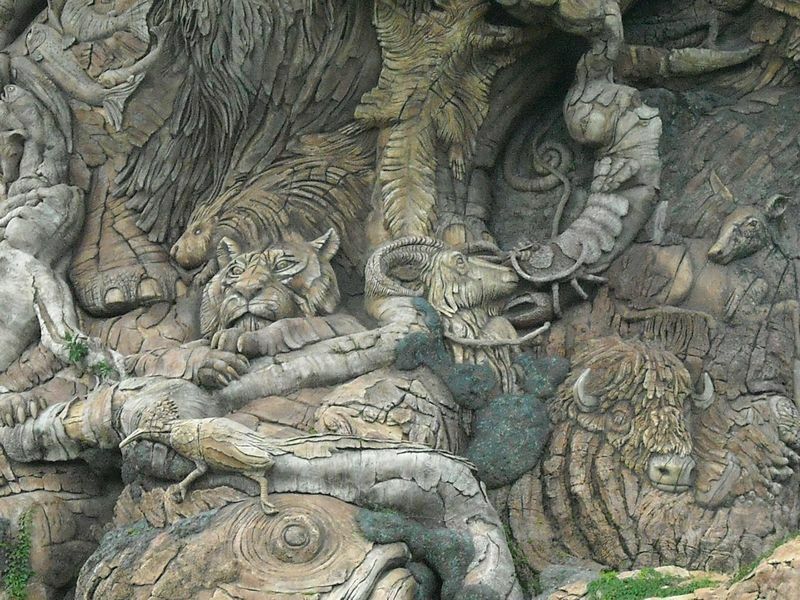 Maharajah Jungle Trek A self-guided tour with animals from the Asian rain forests. Cretaceous Trail A self-guided tour of prehistoric plants. 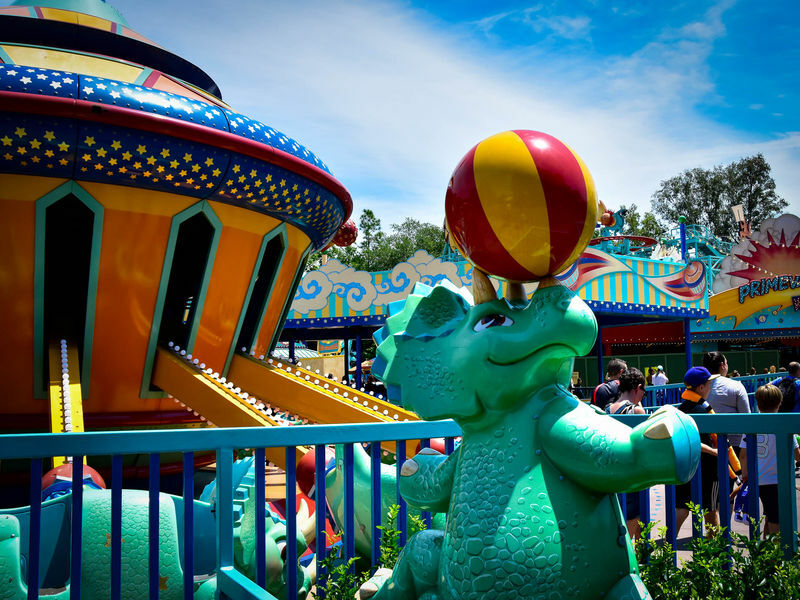 Dinosaur Dinoland's only true thrill ride takes you back to see the dinosaurs. Fossil Fun Games A collection of dinosaur themed carnival games. Primeval Whirl A mad-mouse coaster has a close encounter with an asteroid. The Boneyard A dinosaur-themed play area for children. TriceraTop Spin Ride a triceratops in a classic hub-and-spoke ride. Flights of Wonder A live bird show with plenty of near-miss interactions and a conservation message. Finding Nemo  The Musical A musical production starring the characters from the Pixar movie. Anandapur Ice Cream Soft serve ice cream with a view of Mt. Everest. Bradley Falls Kiosk Vegetarian snacks and light fare. Royal Anandapur Tea Company Serves pastries and an amazing selection of teas. Yak & Yeti Local Foods Chinese dishes. Yak & Yeti Restaurant A wonderful pan-Asian restaurant in the foothills of the Himalayas. Dino Diner Hot dogs and snacks. Dino-Bite Snacks Hand-scooped ice cream and churros. Restaurantosaurus Burgers, sandwiches, and salad. Trilo-Bites Turkey legs and drinks. Wild Africa Trek Use an elevated course to get up close views of animals in the Africa section of the park. 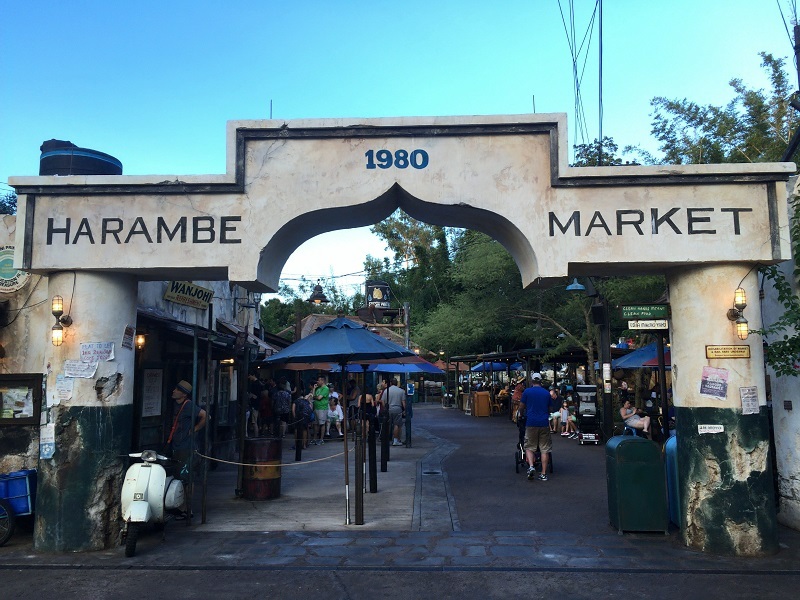 Here you will find a list of selected lands and special events that have been removed from Disney's Animal Kingdom. Camp Minnie-Mickey Not a whole lot in this land other than character greeting and the wonderful Festival of the Lion King show.